CHENNAI: A couple of years after the 2004 tsunami demolished lives of hundreds of fishers in Chennai, several women from the community bore a conspicuous scar on their midriff. It turned out that at least 35 of them had sold one of their kidneys for Rs 40,000 to Rs 50,000 to keep the fire burning in their huts. The kidney snatchers, always waiting to prey on poverty, have now descended on the western districts ofTamil Nadu which is reeling under power cuts and resultant job loss. 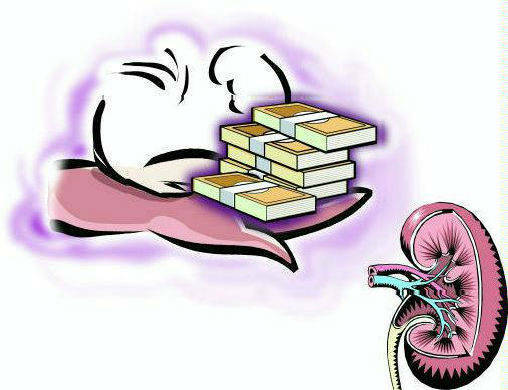 Senior officials in the health sector confide that the poor in backward districts, especially those in Krishnagiri and Dharmapuri, have been selling their kidneys to feed the active illegal organ market. In the western belt, several industries have downed shutters, forcing people to look for other ways to make ends meet. And whenever there is an economic slump, we see illegal organ transplants going up. The recent incident in which a kidney racket was busted in Dharmapuri also exposes the chinks in the organ transplant registry and district panels, thoughTamil Nadu was the first state to have such a system in place. According to rules, a patient in need of a kidney should approach one of the licensed transplant centres in the state and get registered. “The details of this registration would be recorded in the database of the state cadaver transplant programme co-ordinator. The database will maintain prioritization lists for each hospital and a multi-organ recipient takes precedence over others on the regular waiting list,” said R Veena, a senior transplant co-ordinator. But poverty on one side and the demand for organ on the other force people to go under the knife for money. Most patients prefer a transplant over undergoing dialysis as it is tedious but there are not enough cadavers or donors to meet the demand. “When there is no option, these patients approach agents in the black market. People in the western belt are an enterprising lot and are used to a particular lifestyle. But with most of the small scale industriesgoing bust due to the incessant power cuts, they are pushed to such extremes as they can make some quick money and also lead a normal life with just one kidney,” said a senior health official. Agents approach donors and buyers and prepare fake relationship certificates which are cleared by the village administrative officers to facilitate the illegal transplant. When the racket is busted, the poverty stricken donor and the sick buyer get trapped, while the agents disappear, making it difficult to prove the illegal transplant charges difficult to prove in court. State convener of cadaver transplant programme Dr J Amalorpavanathan says it would be of great help if the donor pool is expanded in the state. “If a patient needs a kidney, he/she should register in the cadaver transplant programme and wait to be shortlisted. They can undergo free dialysis in any hospital for up to Rs 4 lakh under the CM’s health insurance scheme. Never approach the black market,” he said.